CHATTANOOGA, Tenn. — The sound of hammers radiates down North Chamberlain Ave. in Chattanooga, Tenn. Every few minutes, shingles are tossed off one side of the roof, and new shingles are lined up on the other. Even though the morning has barely begun, the sun is already radiating off the hot tar. 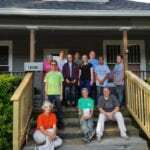 But that’s not slowing down the group of World Changers volunteers working on Priscilla Ford’s roof. “[These students] are dedicated, and they are mindful of helping low-income and underprivileged people do repairs on their home they can’t do for themselves,” said Ford, whose home was in need of a new roof. Students pay between $280 – $375 to attend a World Changers project and typically sleep on air mattresses or cots in empty rooms of local schools or churches. In Chattanooga, Brainerd Baptist Church hosted the teams. 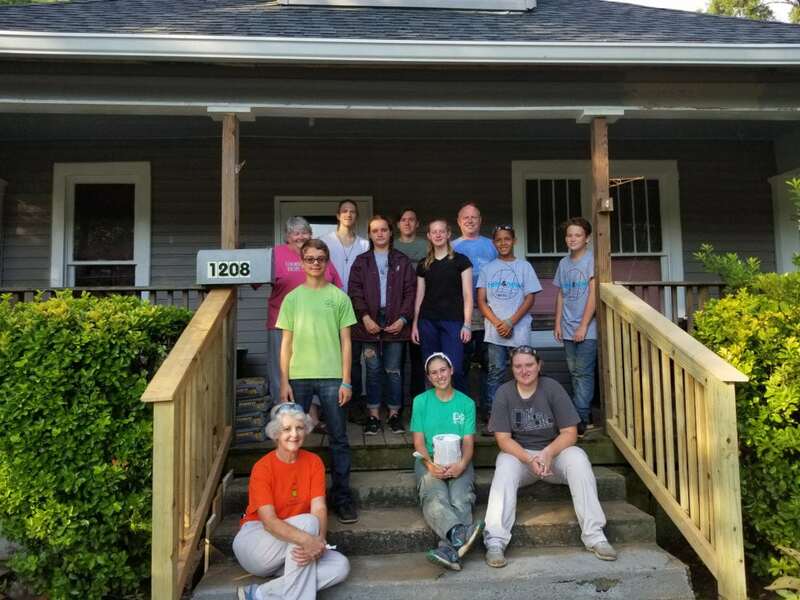 This summer, during the second week of projects in Chattanooga, a World Changers crew returned to provide new repairs to Smith’s home. When the groups are finished with their work each day, they return to the church, eat dinner and attend an evening gathering. Each evening has a different emphasis from learning about the host city and its particular needs to diving into Scripture and having discussions about the gospel and what it means to live on mission. A unique addition to the World Changers evening schedule this year was the introduction of R&R night — an opportunity for church groups to come together and enjoy an evening of fellowship. This night is planned by the local coordinator for each project and takes on a different experience in each city. “It’s not about you and it’s not about how you’re feeling, it’s about what you should do for other people and what Christ is leading you to do,” Hamrick said. Students are encouraged to continue the lifestyle of serving others after the week concludes. Maggie Davies, also from Aversboro Road Baptist Church, shared how the work done during the week is a reminder of Christ’s call to make disciples even as she returns home. “We want them to do what we do here in our own hometown,” said Bobby Shelton.